r e a l l o v e ( the weight of the human heart ) two hearts made of two love letters. 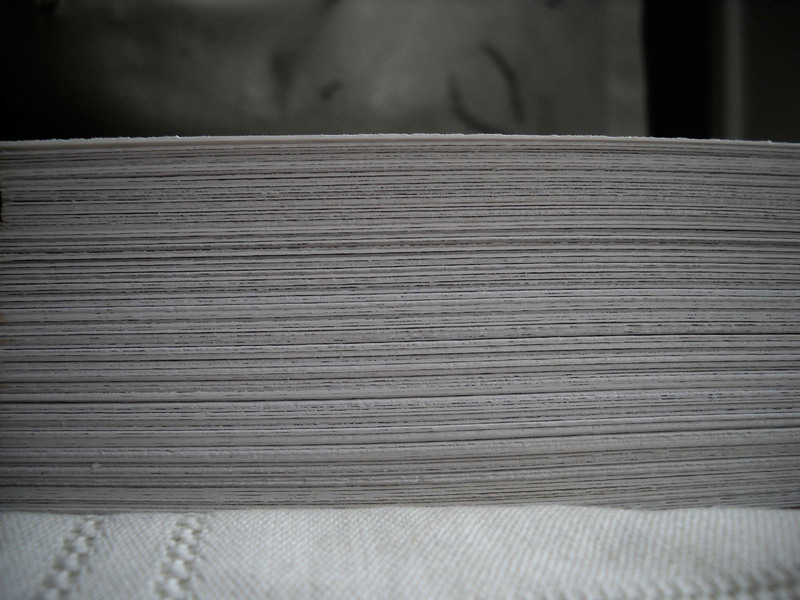 two stacks of white watercolour paper are custom made to mimic the size and weight of the human heart: male and female: the male heart weighing 10 ounces, the female heart weighing 7 ounces. 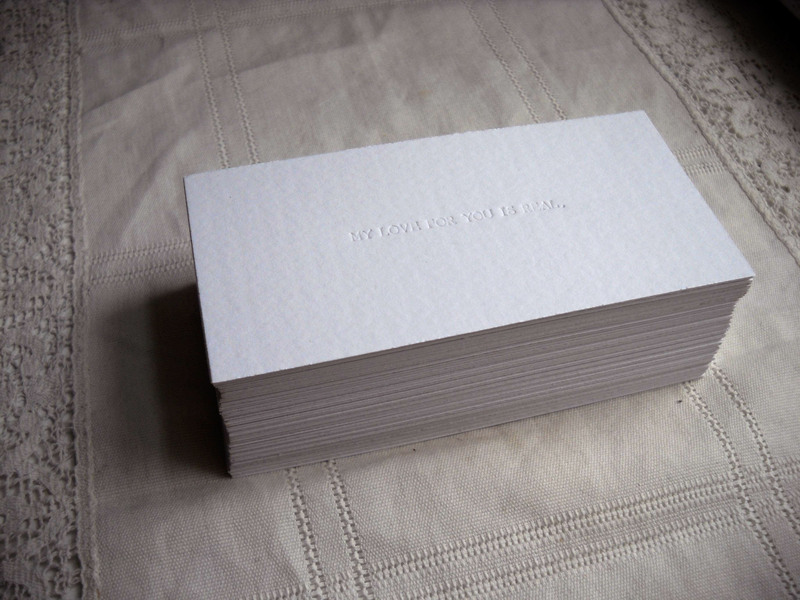 upon each love letter the words "MY LOVE FOR YOU IS REAL" are inscribed in blind impression letterpress. in exhibition, these love letters are installed at the height of my heart and the height of my partner's heart. a visual testament to the love letter as evidence of our devotion..... that our love is as real as we are. two hearts made of two love letters. the male weighing 10 ounces, the female weighing 7 ounces. 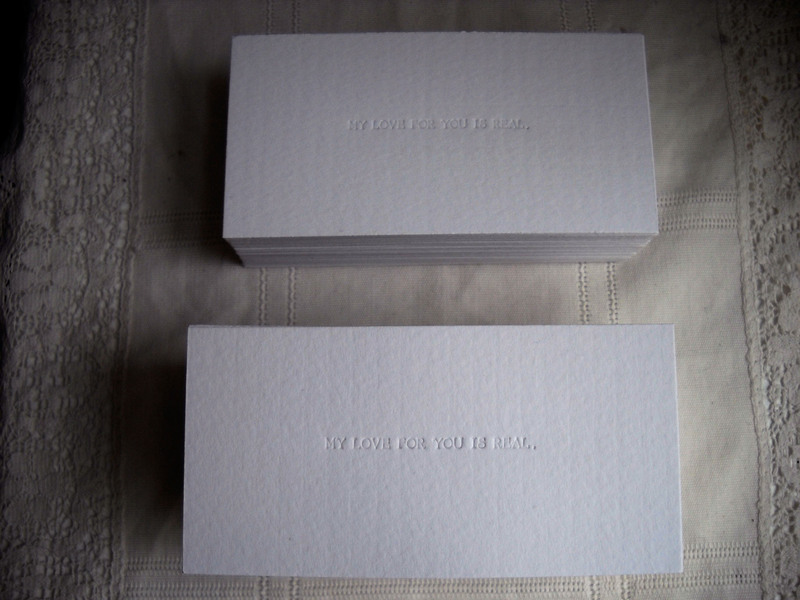 on each love letter the words "MY LOVE FOR YOU IS REAL" are inscribed in blind impression letterpress. in exhibition, these love letters are installed at the height of my heart and the height of my partner's heart. that our love is as real as we are.